Boulder, CO has no prayer of being out of the grip of the arrogant politicians who see themselves as the leaders of the world in the Aftertime. 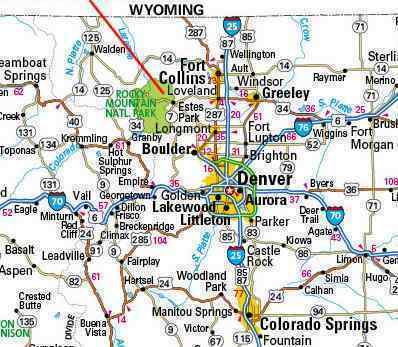 Even a casual glance at a map of the area shows a superhighway directly from Denver to Boulder. Military installation are nearby - Fort Collins, Fort Lupton, and Fort Morgan. The arm of the US government intent upon self perpetuation will not sit by idly until the pole shift has destroyed roads before securing the area. The area to be secured is not, of course, merely the Denver airport and any tunnels to other locations from that airport. They will pack the area with military personnel and equipment. This equipment includes rugged vehicles designed to go overland, and they will certainly seek out and commandeer any functioning farms nearby. Boulder is in the heavy traffic lane between Fort Collins and Denver, and as long as fuel for choppers holds out is likely to have overflights there that would assist in the seek and commandeer campaign. We have warned that those who do not want to be virtual slaves of the self-appointed overloads of the Aftertime not be near such locations.